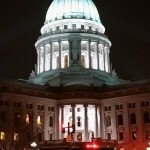 MADISON (WORT) — In response to Wisconsin Republicans fast-tracking a Right-to-Work bill, a coalition of labor groups have organized rallies at the Wisconsin State Capitol this week. 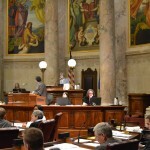 On Friday, Senate Majority Leader Scott Fitzgerald announced an Extraordinary Session of the Wisconsin Legislature to take up Right-to-Work. 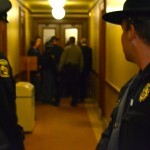 Fitzgerald said the controversial, anti-union bill will “jump start” the state economy. 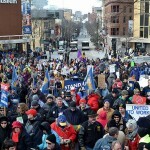 We Are Wisconsin, which is organizing the protests planned for Tuesday and Wednesday, says Right-to-Work will undermine workplace safety standards and lower wages for both union and non-union households. 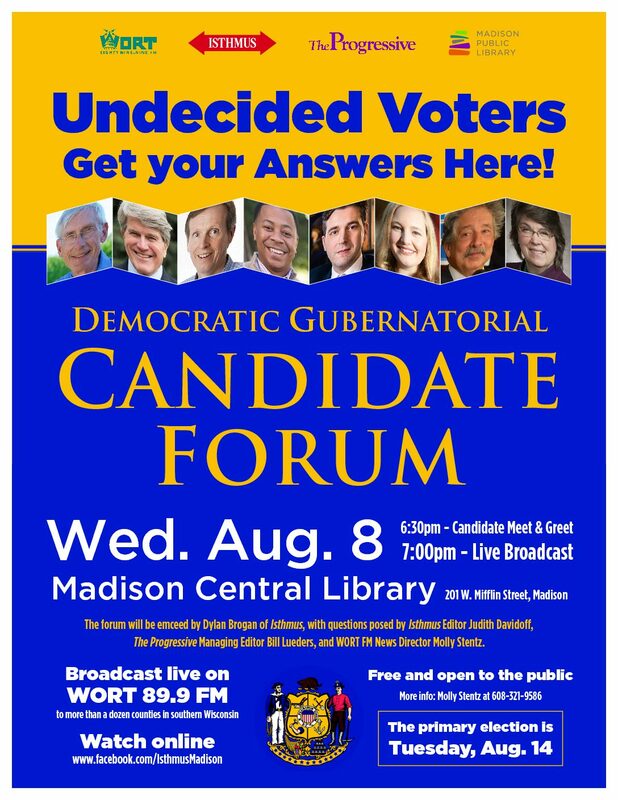 We hear from the President of the WI AFL-CIO Phil Neuenfeldt, Madison Mayor Paul Soglin, Union Painter Eric Cobb, Senate Majority Leader Scott Fitzgerald, and Jim Koeberl with the United Auto Workers.